This PDF guidebook comprehensively reviews and compares what’s new in each successive revision of InDesign from version 1.0 in 1999 all the way up to the current CC 2019 release – and covers the details of all the major new features and material improvements along the way. Just look for the “Download PDF” icon at the lower right of your browser, once you pull up the book. It’s also very helpful to consult when you need to save back to previous versions of InDesign (where the featuresets and file formats are older) – this way you’ll know which capabilities prior releases can support, and which they cannot. 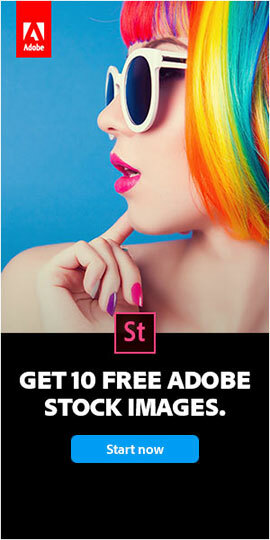 If you don’t already have InDesign installed on your machine yet, then you can just download a free trial to get started right away – and then run it for 7 days free. Thought I would share: Got my first hands-on look at InDesign (K2) in October 1998 to provide feedback on features and output test files. Community Help: Thanks to Steve Werner and everyone else for their feedback. New Features: Taken primarily from Adobe.com, Adobe’s New Features documents and Adobe Press Releases. Geschke and CEO John Warnock previewed Adobe InDesign duing Seybold Seminars in Boston. Adobe InDesign 1.0 shipped on August 31, 1999. 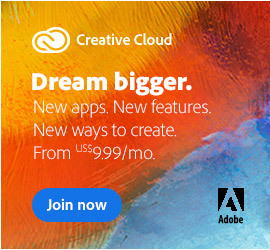 Creative Cloud (CC) was announced on Monday, May 6, 2013 at Adobe MAX in Los Angeles, and first shipped on Monday, June 17, 2013. Do you have any questions about InDesign? Just ask them below and we’ll get you answers fast! An invaluable almanac for InDesign, thank you. This is really great, would love to get it for all the other apps too like Photoshop, Illustrator etc ! Thanks for the great article! Glad to share. Thank you James! This is a terrific compendium that you’ve put together here. 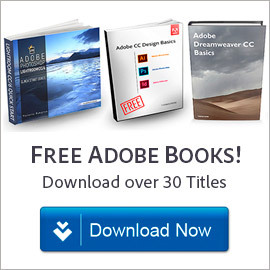 As Gloria mentioned above, it’s a valuable resource that customers could definitely use for all major Adobe tools… InDesign is a perfect start, and it’s flying off the shelves. The InDesign New Features Guide was updated on December 8, 2014. What’s New: Updated the Index, added features, added a link to Page 1 that enables direct download from my Public Dropbox folder so you always have access to the latest version. Same link as before for the new edition. Thanks also for the mention in Favorite Sites at the end! How much is the software after the trial is over? What else do I need to be concerned about with the software trial? We do still have the CS4 trials available to download; however for long-term use, nobody sells CS4 legitimately any more – it’s old software (from 2008) and not recommended to try to buy it, as anything you could find is very likely to be bogus. Instead, we would advise going with a newer release such as CS6 from 2012 or (the latest/greatest version) CC 2014 – both of which Adobe sells direct. 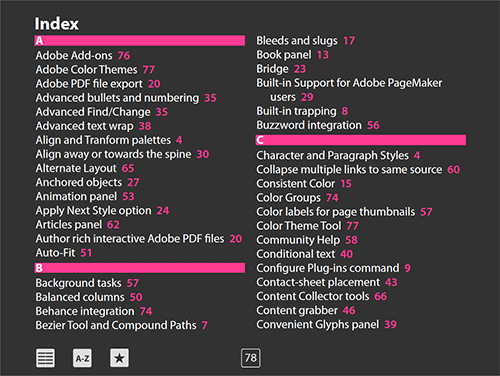 InDesign New Features Guide includes the Feb. 2015 updates, along with an updated Index. Fantastic James, thank you! It’s up to 101 pages now as well. Does something similar exist for Illustrator or Photoshop? Hello Salil, not that we know of – but we wish! Why oh why when I save an indd file for the first time, does the program not remember where the file came from? Not only do I have to scale back through drives and folders to locate said file to overwrite, but often the choice is also not available in the list of recent folders. The second and subsequent times to save then works as it should, without a user intervention. Hi Ed, which version of InDesign are you talking about, and what platform are you running on? We tried to reproduce what you described in InDesign CC 2015 on Windows, but could not. Everything worked as it should, including the Open, Open Recent, Save, and Save As menu items. I am using CC 2015 on a Mac, Yosemite 10.10.5, but previous versions of ID did the same thing. Ed, can you describe step-by-step the actions you take to reproduce the issue? Are you fully updated and running InDesign CC version 2015.1? Have you filed an Adobe bug report? Is the Photoshop book available in Dutch? or is it English. 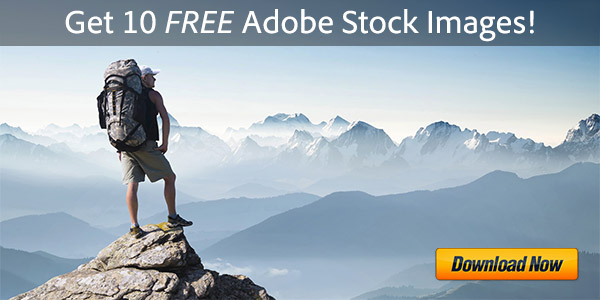 Hey there Hans, most of our free Adobe books are in English, including the ones for Photoshop. A few are available in other languages, like the one there for Acrobat. Most if not all of the Adobe product manuals are also available in multiple different languages, including Dutch. All your links to this book (the one in the main article and the one in the comments) point to the Adobe Forums. You may not be aware that there is a serious bug with the Adobe Forums (colloquially known as The Redirect Loop of Death) which prevents many users from accessing them at all. As you can see from this thread, this problem has been going on for over 4 years. I still have this problem, and cannot access this book from any of your links. Presumably the Adobe Forum posts you reference have links to the book. Perhaps you could divulge the link without passing through the inaccessible-to-me Adobe Forums. Sorry you’re having trouble Deborah. We have not heard of that before – and from the link you posted, it appears to be quite rare (only 8 people reported having the same issue in 4 years). It seems to be something funny with your account, most likely an unusual data conflict of some sort. The reason is because changing browsers or computers (or clearing your cache/cookies) doesn’t help you. Did you try changing your Adobe ID names(s) on Profile tab of your Adobe account, as recommended? Several people there said that worked, and fixed the redirects they had. If not, you could just create a brand new Adobe ID and then contact Customer Service about transferring your licenses over. To create a new ID while keeping your same original email address, follow the 2-step process here. That should hopefully solve it for you. PS: But just to clarify – you don’t even need an Adobe ID to read the Forums! They are public and open for everyone to view. with no account necessary. The only time a log in is required is if you want to post. 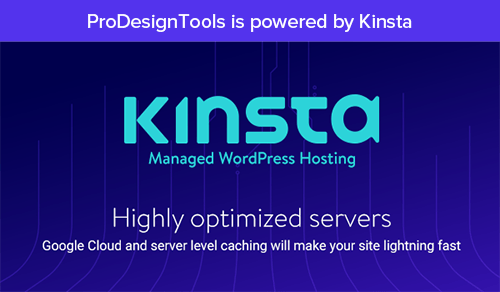 You can test this yourself by opening any web browser, clearing your cache & cookies (to reset), and visiting any page there yourself. There is no access restriction. I’m sorry to hassle with this question but, where is the link to download the latest updated-to-InDesign CC 2017 PDF? But Adobe says the new CC 2017 PDFs have not been published yet and will be available in early 2017. So watch that space. I just tried to download this, but the file is no longer found. Can someone send me a new link or the PDF file? But good news, we have just updated the link in the article above to reacquire a working copy of the free InDesign book. 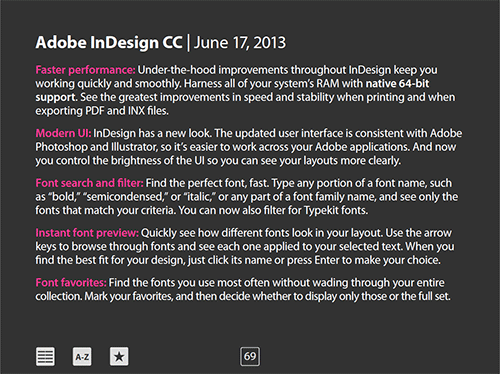 The InDesign New Features Guide has been updated. 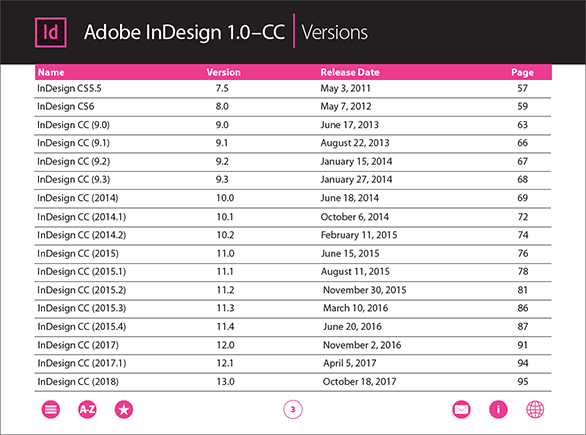 It now includes InDesign CC (2018) new features, along with an updated index. Thanks so much, James – your readers really appreciate it! Why won’t the newest version of InDesign open my files? Not sure, Cecily. Which files specifically are you talking about? And what exactly happens when you open them? In order to assist further, we’d need more details on your situation – thanks.